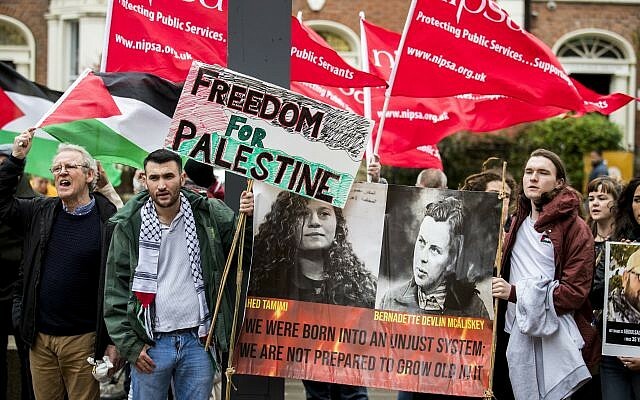 There were angry scenes as pro-Palestinian protesters confronted the UK’s Israeli ambassador at Queen’s University in Belfast. 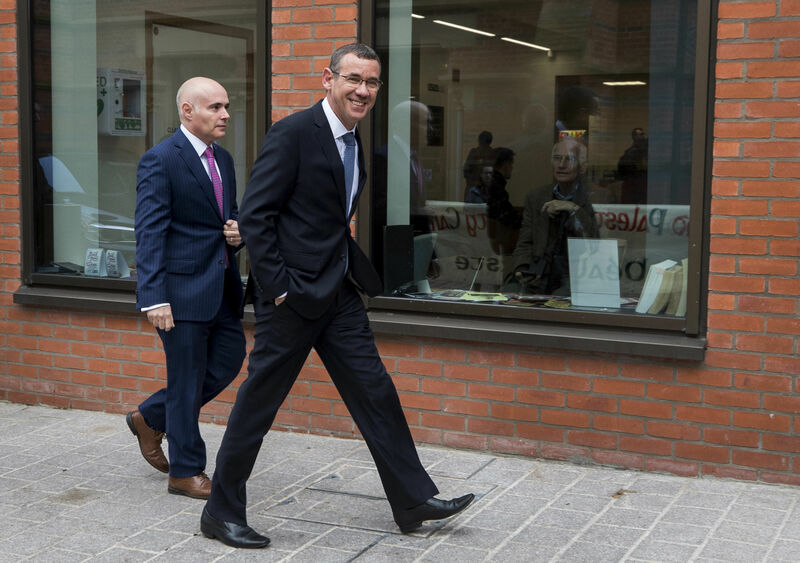 A protester was restrained as several attempted to follow Mark Regev’s car as he left the historic institution following a visit to speak to students. Queen’s defended the invitation to Mr Regev saying it permits freedom of thought and expression. 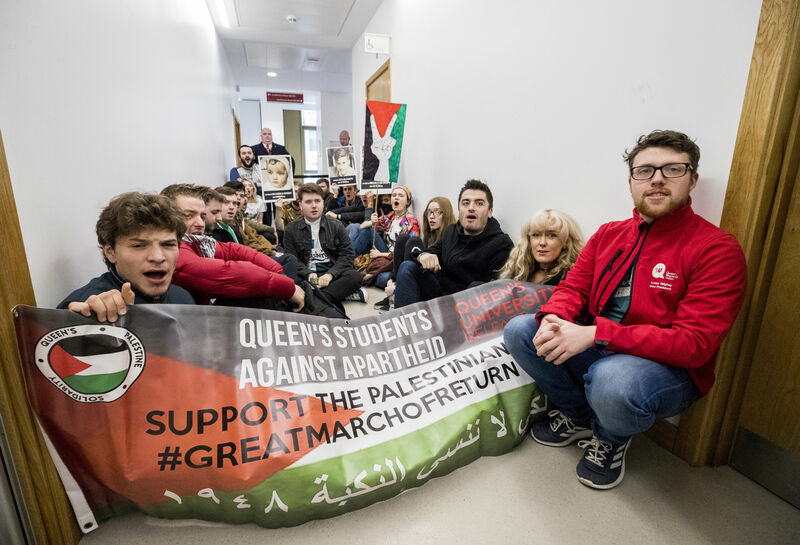 The spokeswoman added that Queen’s has also invited the Palestinian Ambassador to the UK to visit the university and engage with students in a similar format. Earlier a number of protesters took part in a sit down demonstration blocking a corridor inside the building. 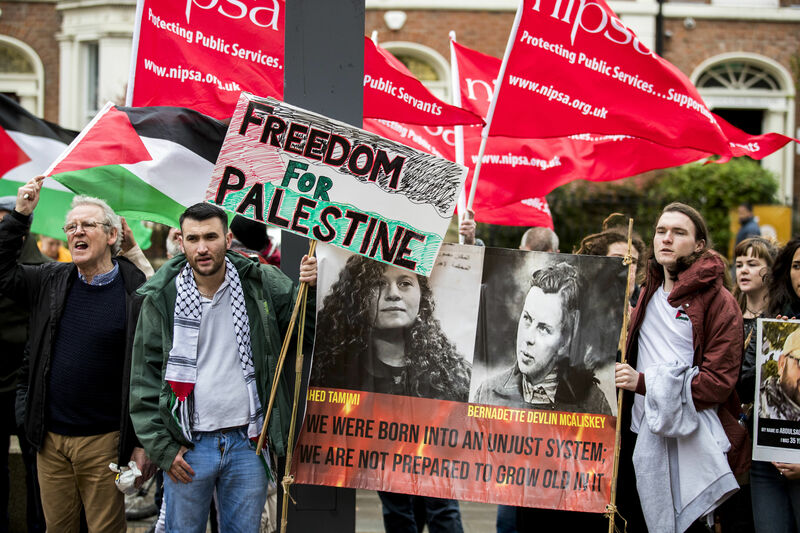 Ahead of the visit, the Queen’s Student Union President Connor Veighey and People Before Profit MLA Gerry Carroll called for the invitation to Mr Regev to be rescinded. Mr Murtagh said they were protesting against Mr Regev because he is a representative of Israel. 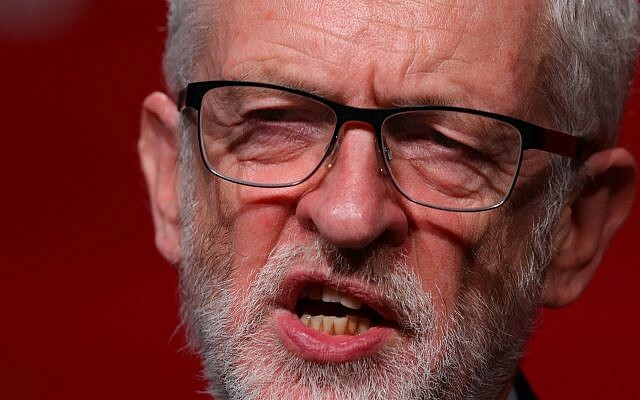 He said the Queen’s University Students’ Union backed the Boycott, Divestment and Sanctions (BDS) movement, which calls for an international boycott of Israel over the way it treats Palestinians. Mr Herzog is the son of Chaim Herzog, a former president of Israel who was born in Belfast. TUV leader Jim Allister said: “It was good to meet with the Herzog brothers at Stormont and make clear to them that Israel has some very firm friends in Northern Ireland.